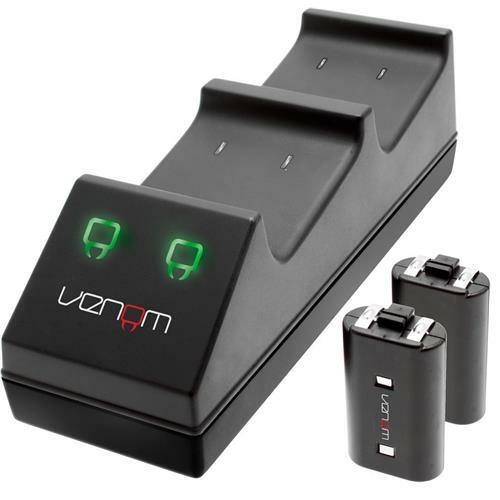 Keep controllers fully charged and ready for action with Venom's Twin Charging Station & Battery Pack. The rapid recharge cradle enables you to power up two XBOX ONE wireless controllers without needing to leave your system on. Featuring a polished black finish to match your XBOX ONE controllers. 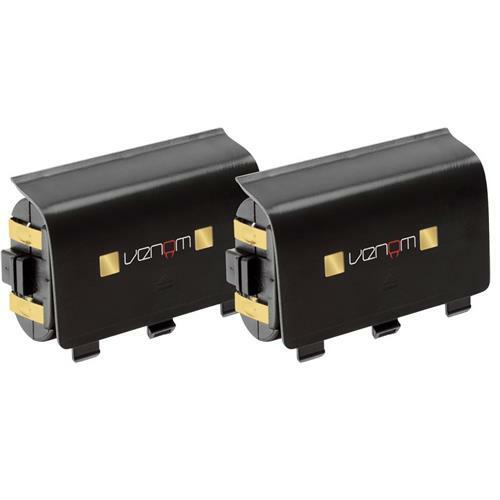 Two powerful rechargeable battery packs provide maximum power for gameplay of up to 18 hours. 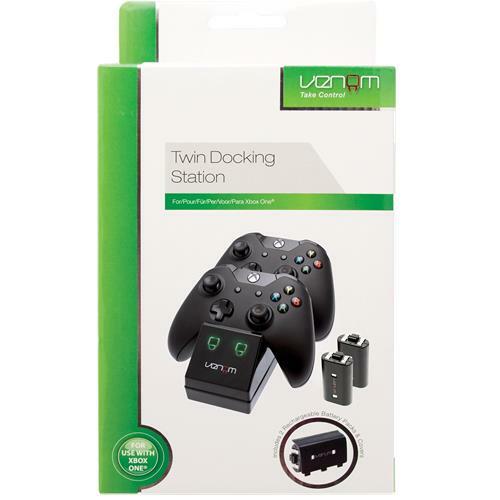 Dock, store and charge 2 XBOX ONE controllers. 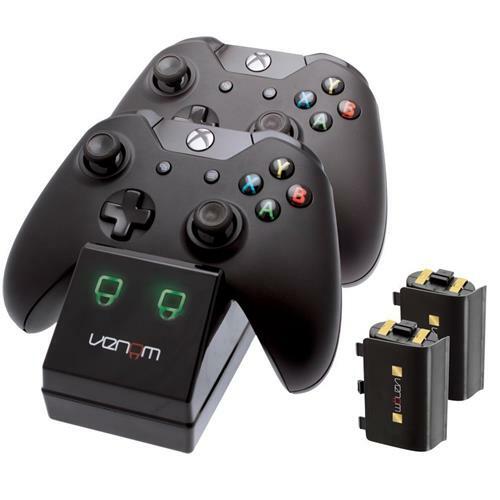 Supplied with 2 XBOX ONE controller rechargeable battery packs. Up to 18 hours gameplay.